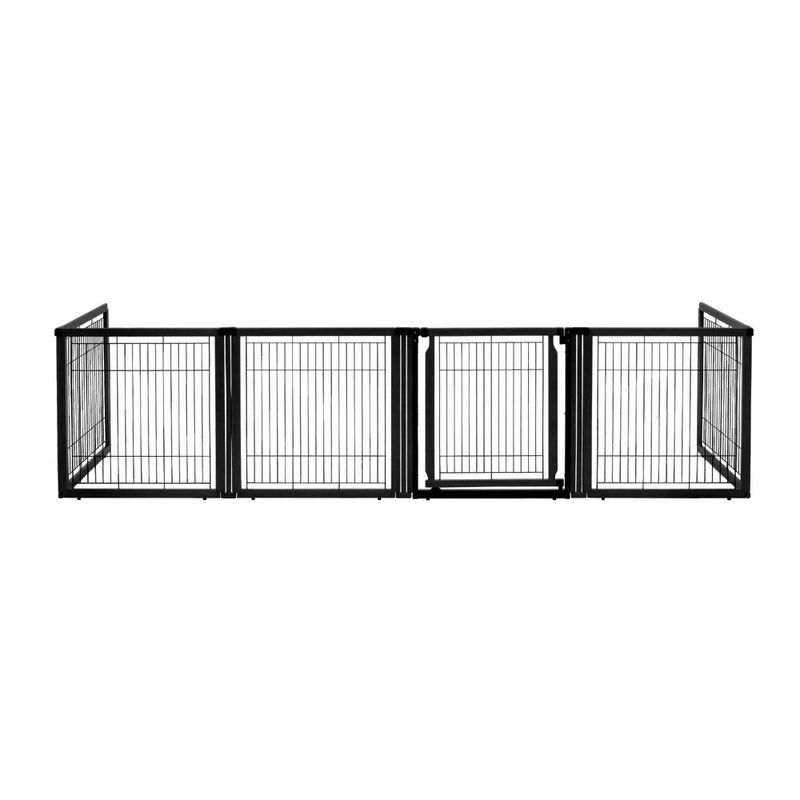 Richell Convertible Elite Pet Gate 6 Panel Black 130" - 134" x 31.7" - 33.7" x 31.5"
General Product Information: Width of the Door opening: 25.6". Recommended for small-medium dogs 8.8 to 44 lbs. (4-20kg). Instruction manual included. 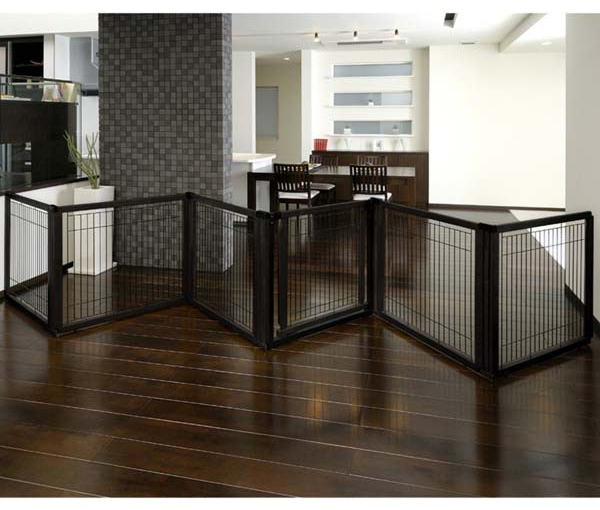 1 1/8" space between wire slats. Wire is 7 Gage or 0.144". Made from eco-friendly, sustainable Rubberwood.